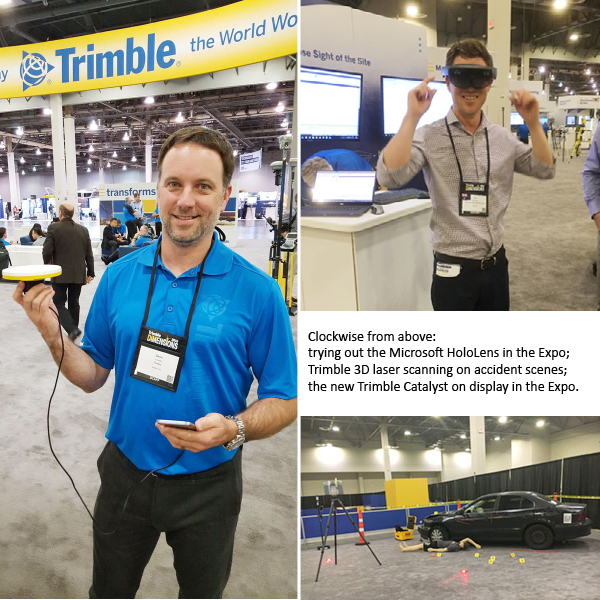 Monday was an exciting day at Trimble Dimensions 2016 with informative sessions and amazing announcements about advances in technologies. The new Trimble Catalyst was announced. It will bring high accuracy GNSS to your mobile device. Plus in the Expo there’s a display showing how Trimble 3D scanning instruments are being used at accident scenes and for forensics. Here’s an overview of the day. 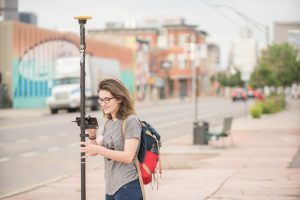 Some of the announcements about advancements in Trimble technology are below but you can check out a round-up of all the announcements on the Trimble website. 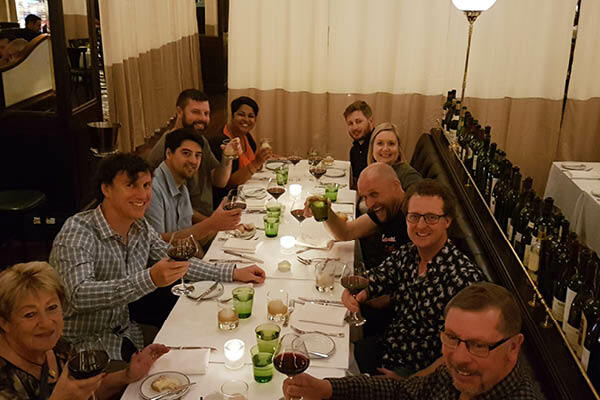 Below: some of our AllTerra and SITECH New Zealand team out to dinner at Dimensions.